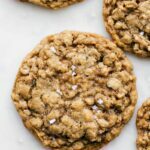 While I’m ALL about chocolate, sometimes an old fashioned oatmeal cookies recipe is exactly the treat I’m craving. Soft, buttery, chewy, and flavorful oatmeal cookies — this is the recipe! I’ve been working on this recipe for months, and am finally ready for the big reveal. Are you ready?? If you’re looking for chocolate chips, raisins, or nuts in your cookies, you can add them to this base recipe OR, try these oatmeal chocolate chip cookies or these oatmeal pecan cookies. And for oatmeal raisin cookies, try this recipe using raisins in place of chocolate chips! 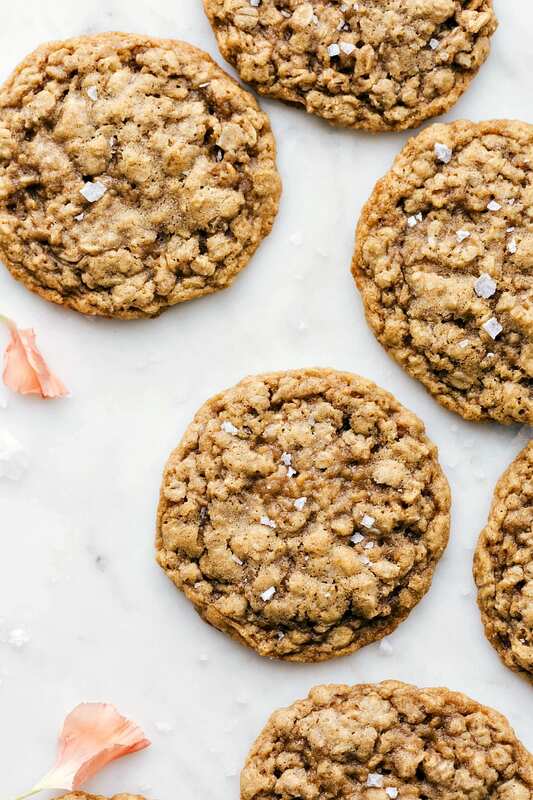 The main ingredients in a classic, simple oatmeal cookies recipe is sugar, butter, flour, eggs, and of course, the old fashioned oats. Now that we’ve talked ingredients, let’s talk process and tips! Precise measuring: Too much flour will give you dense cookies. Spoon your flour into the measuring cup (if you scoop it into a measuring cup, it usually gets packed in too tightly) and level it off with the flat edge of a butter knife. Slightly under-bake: This ensures the soft and chewy texture we all love! Over-baked oatmeal cookies lose their delicious chewy texture and a lot of flavor. Don’t over-mix: If you over-mix the batter, the cookies will become denser and less soft and chewy. Properly chill the dough: Chilling the dough makes a huge difference in both the flavor and the texture of the cookies as it allows the sugar and flavors to absorb and meld together. I’ve talked a lot about how to make these oatmeal cookies chewy. But what makes a cookie chewy anyways? This is determined by the amount of moisture in the cookie. 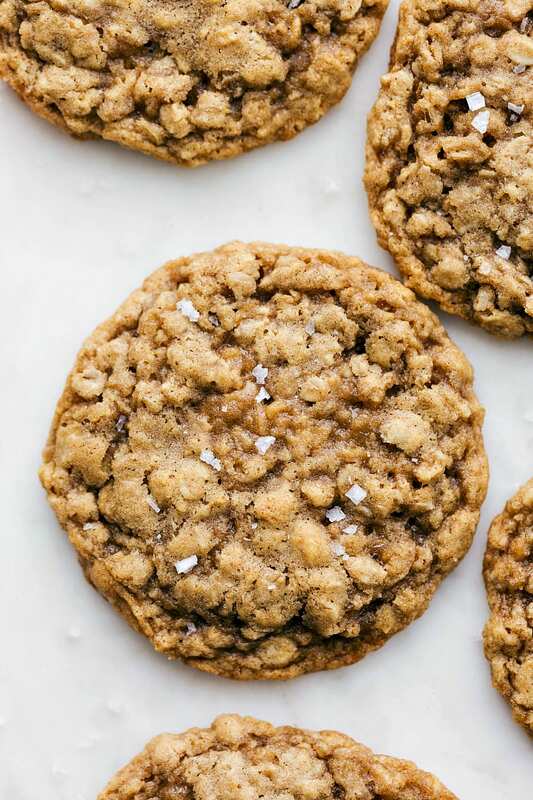 The extra butter and the dark brown sugar add moisture to the oatmeal cookie mixture in this chewy cookie recipe. The number 1 tip to keeping a cookie chewy: do not over bake the cookies (because this dries the cookies out)! Soft, chewy, and flavorful oatmeal cookies -- enjoy these cookies as is or read on to add in raisins, nuts, and/or chocolate chips! Make sure your butter is at room temperature before starting. 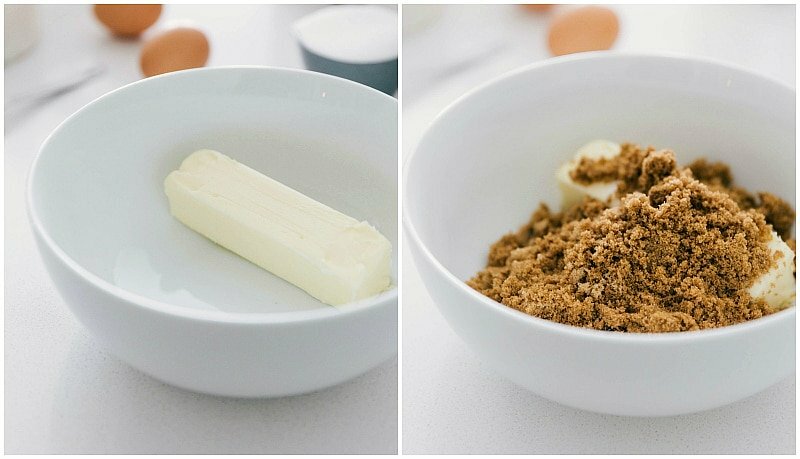 Using hand mixers, cream together the butter, brown sugar, and white sugar until light and creamy, at least 3 minutes. Beat in the egg and vanilla extract until smooth. 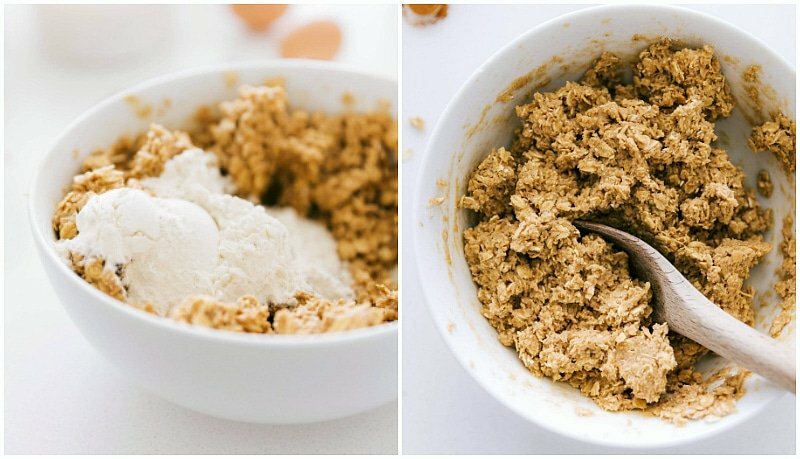 To make oat flour, blend up regular oats in a blender or food processor until they resemble flour. Measure to get a leveled 1/4 cup. Add to the same bowl on top of the wet ingredients: oat flour, baking soda, sea salt, cornstarch, cinnamon, and old fashioned oats. Beat until ingredients are well combined. Add the flour (measure by spooning the flour in the measuring cups and then leveling). Mix until JUST combined. Cover dough tightly and chill for 1 hour. These cookies will spread without being chilled. Line a cookie sheet with parchment paper or a baking liner. 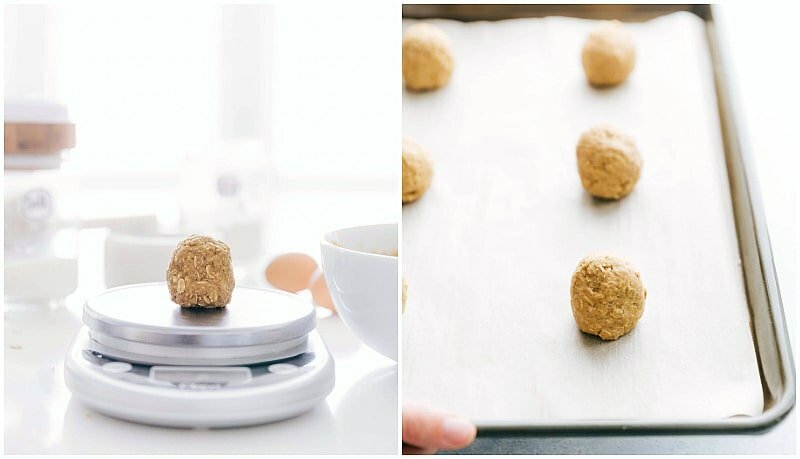 Place balls of dough (no more than 9 cookies at a time) on the cookie sheet. Return the tray of cookies to the fridge for 10 minutes. Bake for 7-9 minutes or until lightly browned at the edges (even if the center looks a little under-done -- they cook a bit more after being pulled out of the oven). These cookies set up and become extremely delicious and chewy if they're slightly underbaked. Err on the side of slightly under-baking these cookies for soft, chewy, and tender cookies! Add a sprinkle of sea salt if desired to the cookies. Cookies best enjoyed within 2-3 days. 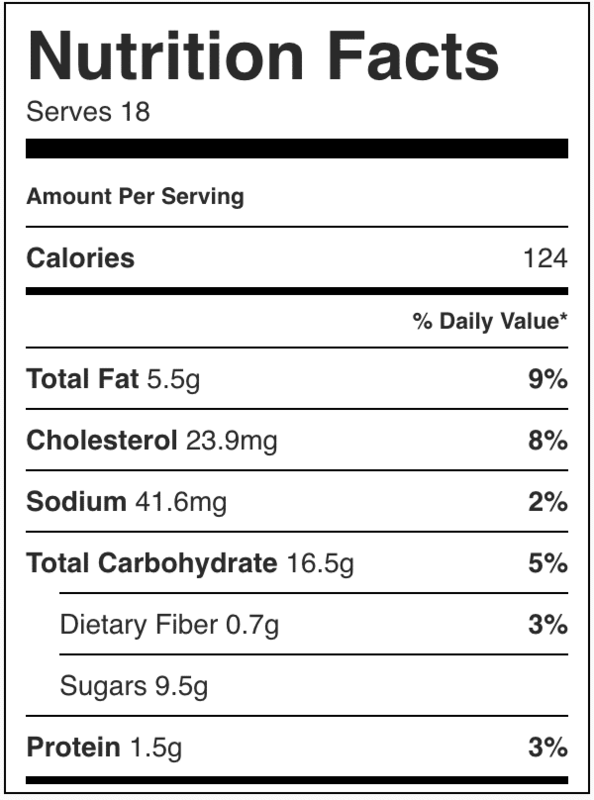 *We love the hint of cinnamon in these cookies, but you can leave it out if you don't like. For more of a spiced oatmeal cookie, add 1/8 teaspoon of ground nutmeg and ground cloves in addition to the cinnamon. The SECRET IS OFFICIALLY OUT! 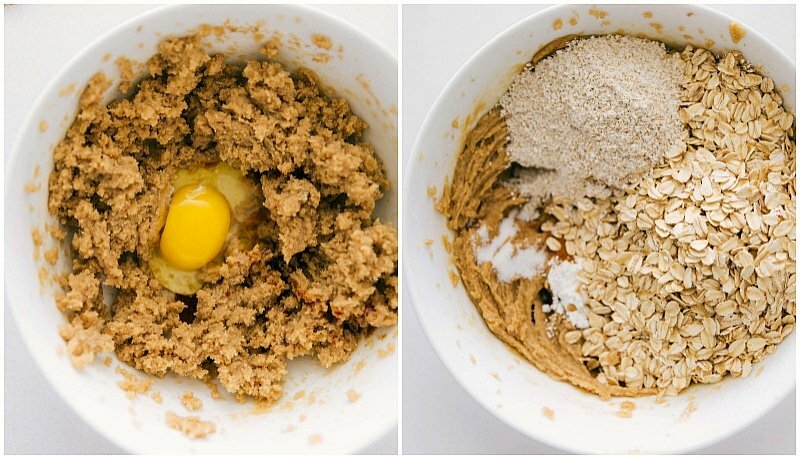 This iIS the BEST OATMEAL COOKIE RECIPE ! Flavorful ✅ Soft ✅ Chewy ✅ WARNING: THESE COOKIES DISAPPEAR FAST.